Natural Healthline is an online publication devoted to complementary and alternative health care issues. At Natural Healthline our mission is to provide everyone with the information they need to keep themselves and their families healthy. Through our initiatives and programs, we encourage people of all ages to take charge of their health by making smart lifestyle and nutrition choices, seeing their doctor regularly for checkups and health screenings, and monitoring their bodies for any changes that should be brought to the attention of medical professionals. Michael Evers, is the Editor of Natural Healthline and is the Executive Director of Project Cure. He has a diversity of experience handling legal issues in the health care industry for more than 30 years. As a young attorney, he gained notoriety representing health care professionals facing prosecution for using methods deemed "unorthodox" or "unconventional" by state medical boards. He was commissioned in 1987 by the Congressional Office of Technology Assessment to prepare a report on the legal constraints facing physicians and patients who opt for treatment alternatives outside conventional medicine. Sensing that state and federal laws needed to be changed to accommodate such practices, Michael turned to lobbying and persuaded Congress to create an Office of Alternative Medicine at the National Institutes of Health in 1992. He then led the national grassroots campaign to elevate that office to become the National Center for Complementary and Alternative Medicine in 1999. That agency changed its name to the National Center for Complementary and Integrative Health in 2015. Michael monitors NCCIH's $130 million budget, and promotes public awareness of its research agenda. Michael also served as national legislative director for the Nutritional Health Alliance, the grassroots effort organized to oppose the Food and Drug Administration's crackdown on vitamins, minerals and herbal supplements in the early 1990s. That lobbying effort culminated in passage of the Dietary Supplement Health and Education Act of 1994. He later published What We Know About Nutrition and Alzheimer's Disease in 1998 and Prevention and Treatment of Alzheimer's Disease with Natural Therapeutics in 2007. Both reports were distributed widely to encourage policymakers to devote more resources to prevention of Alzheimer's and dementia. Evers' Amazon best-selling book, “The Anti-Alzheimer's Action Guide”, presents the most up-to-date evidence supporting the paradigm shift in favor of prevention strategies including diet, exercise, brain fitness, and sound sleep. Mr. Evers has served as a consultant to television and film producers, hosted events on Capitol Hill and the Kennedy Center for Members of Congress, and authored or published several books and papers dealing with access to complementary and alternative medicine. 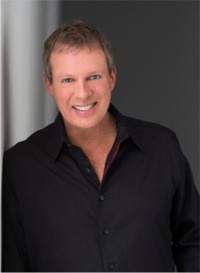 He has appeared on dozens of radio and television programs, including ABC's Good Morning America and NBC's Today Show. The Natural Healthline and Project Cure are totally dependent on supporters like you for their existence. We have no other source of income. We sincerely hope you will consider this matter carefully and help us keep the progress moving forward.